Show off your creativity, there are no limits with our Lift & Slide Doors. With up to four sashes, you can eliminate architectural restrictions and have an unobstructed view to the outside. A Lift & Slide Door will enhance your home and create an exciting new experience. 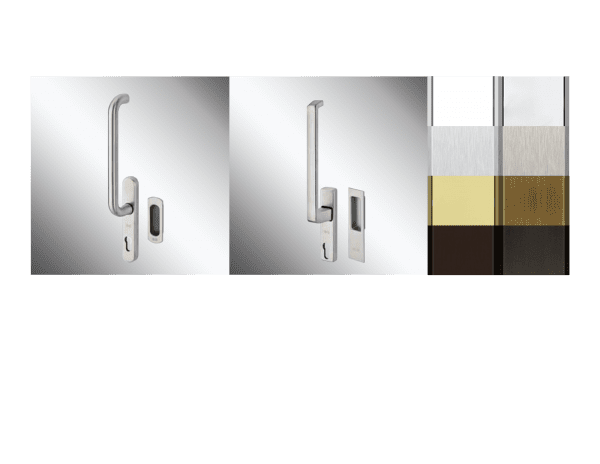 Click here to see all hardware and finishes. 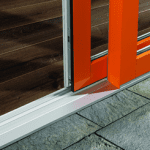 We use vinyl extrusions, hardware and glass from the leading suppliers. We meet thermal regulation requirements with well-designed vinyl multiple-chamber extrusions and a frame depth of 2.75 to 3.38 inches (70-86mm). 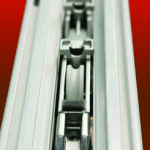 Optional lift and slide hardware allows energy efficient air exchange with a trickle air vent. High quality insulated glass up to a total thickness of 1-5/8 inches (42 mm) guarantees maximum thermal insulation values.